A night of non-winter festival fun. The football toss was a popular game for both boys and girls. Based upon the weather outside, Thursday night�s Winter Festival felt more like a spring fling. Still, it was well-attended. 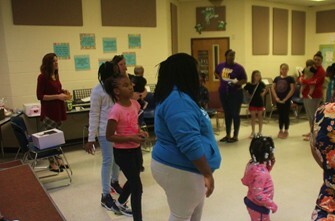 And of course, there was fun to be had by all. Jennifer Cole was one of the teachers to help with the live auction conducted by Sammy Haupt. 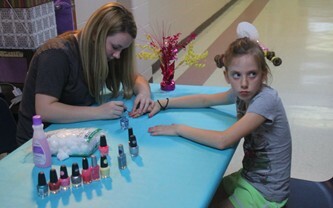 An annual fundraiser for Bleckley Elementary, there were a variety of activities available. 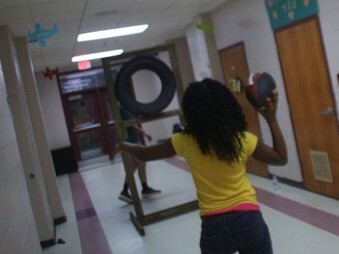 Putt Putt Golf, frisbee toss, a Giant Jenga, and bouncy obstacle course were amongst the many things kids could do. 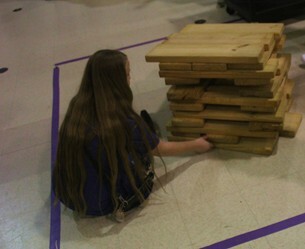 A girl tries to carefully take out the right piece in Giant Jenga. 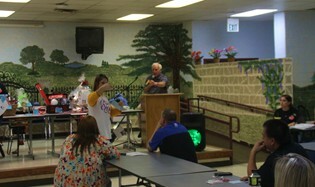 Adults could sit in the cafeteria and bid on items in a live auction. Open to all was a raffle for themed baskets in the media center. 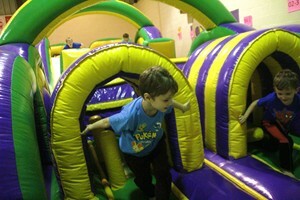 The bouncy obstacle course provided lots of fun. 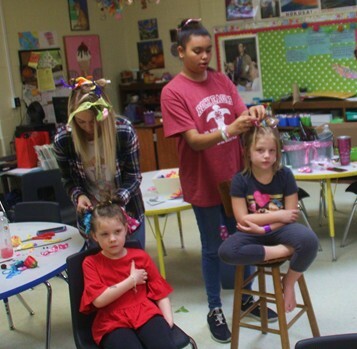 Bleckley Elementary thanks everyone who came out in support as well as all who helped make this year�s festival a success. Cakes and other baked treats were available for winning at the cake walk. Happy Hair was a popular attraction all night. A girl gets her nails colored. 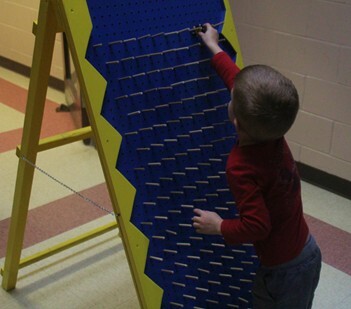 A boy lines up the chip for giant Plinko. 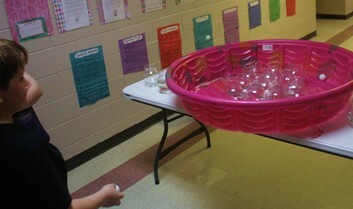 A live goldfish was the prize for anyone who could get the ping pong ball into the jar. Bingo games are a part of any festival.